High shear mixing and wet extrusion technologies from Fuji Paudal of Japan for converting powders into free flowing, dust free granules. Russell Finex will help you with initial equipment assessment, product testing, laboratory scale to production, quotations, commissioning, and post-sale support. Fuji Paudal have manufactured this equipment for over 50 years to the highest build and quality standards. This ensures perfect customer product quality over a longer period of time than alternative brands. Russell Finex and Fuji Paudal have worked together successfully for over 40 years. 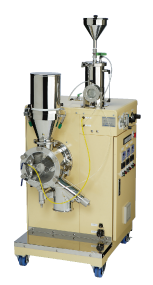 This wet extrusion granulation equipment transforms wet mass powder into well-formed cylindrical, dust free, extrudates of a controlled diameter. 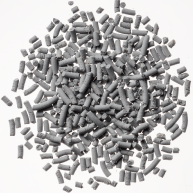 Depending on the desired end use, the wet extrudates will either be spheronized or dried to produce various products in the pharmaceutical, food, agrochemical, and other industries. The high shear mixer granulator efficiently mixes batches of powders and liquids to produce homogeneous mixtures and a narrow particle size range of granules. 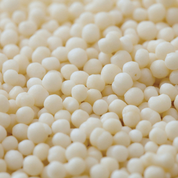 Spraying of the liquid binder into the area of fluidized powder suspension produces a high yield of 0.05 ～0.5mm dia spheres. 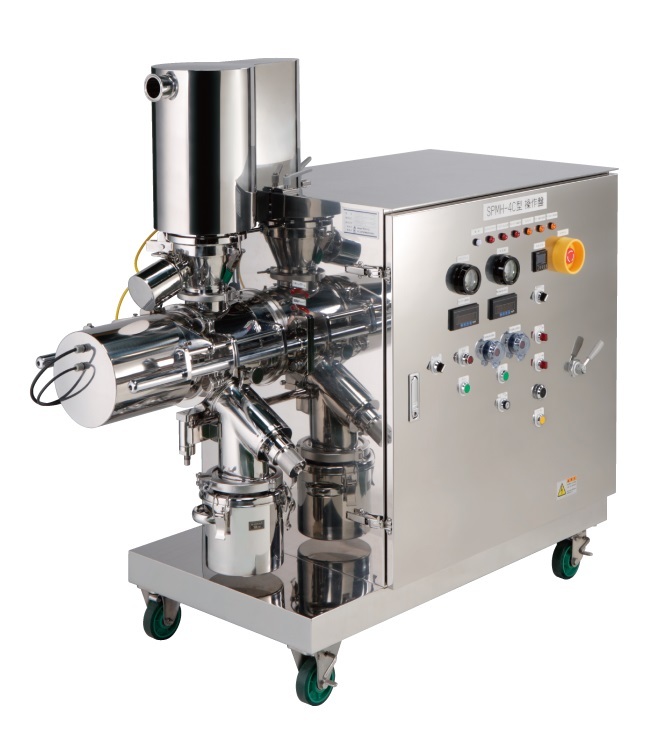 The Fuji Paudal Spartan Mixer for batch operation high speed and precise mixing for a variety of products. This gives perfectly dispersed powders in less than 5 minutes, increasing your productivity and quality. Fuji Paudal and Russell Finex have over 50 years of experience helping many industries achieve improved products. This includes Pharmaceuticals, Food & Beverage Additives , Agricultural Chemicals and Industrial Chemicals.